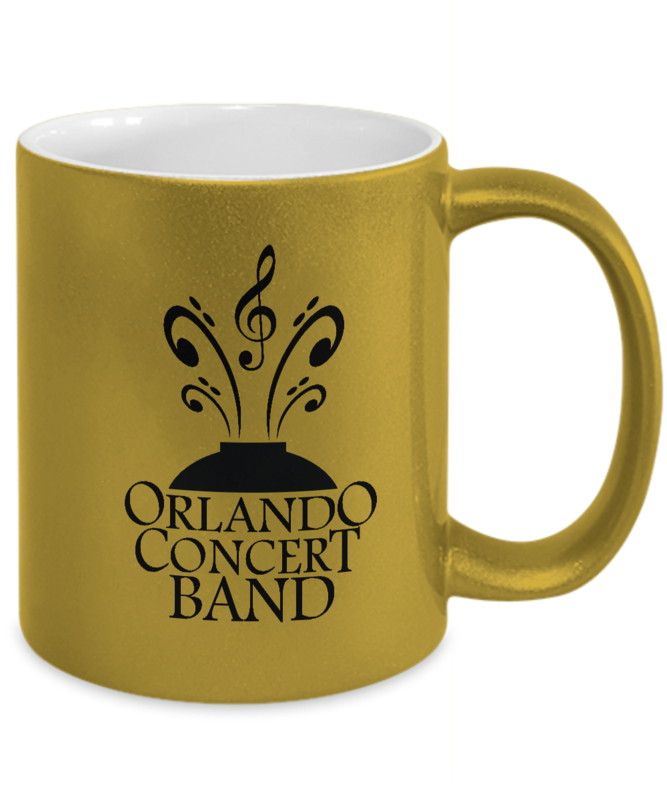 Support your Favorite Concert Band with this classy METALLIC Mug. Perfect for hot or cold beverages. 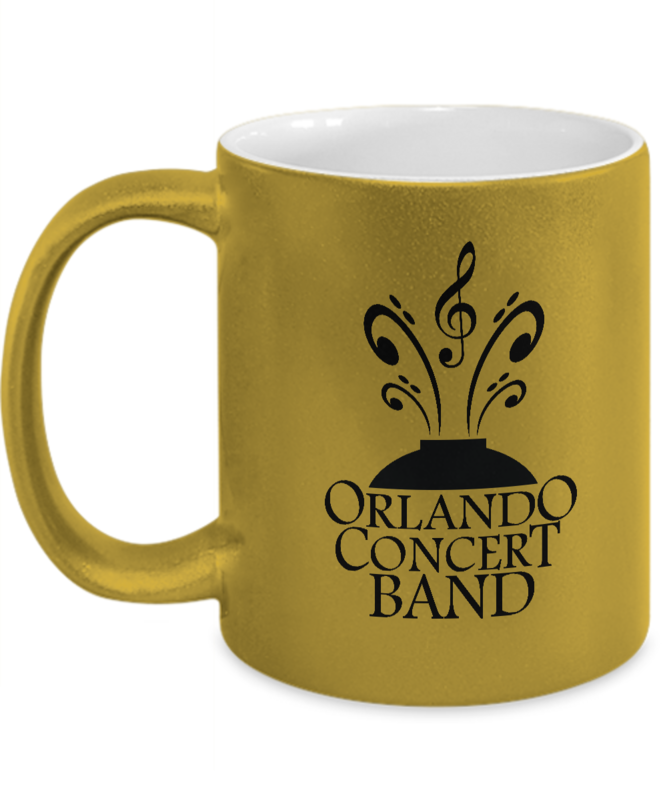 Choose from: PURPLE, GOLD or SILVER 11 oz Metallic Mugs! White inside color.